You can really fly high with this die. It’s perfect for those with their heads in the clouds and the desire for a quilting adventure. The GO! 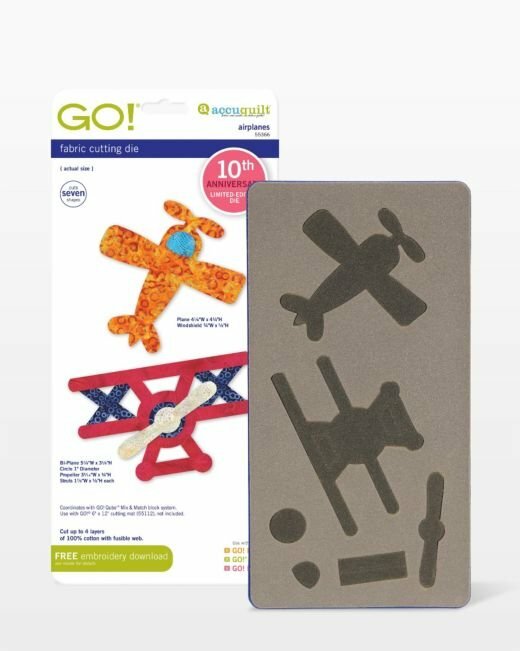 Airplanes die makes it so easy to cut the intricate shapes needed to create both planes. Simply apply fusible web to the wrong side of your fabric before cutting out your shapes. This die is a great way to use scraps of stash!